Annual journal subscription cost is CZK 980 (for Czech Republic only). During the year, you can order a magazine subscription from the nearest next issue or from the beginning of the year (including back issues).The calendar year includes 11 issues. Issues are being dispatched on the first Wednesday of a month (see Term Plan). Subscription order is renewed automatically after its expiration. The November issue package includes an invoice for payment of the subscription for the following year. If you want to stop your submission, just ignore the invoice. All additional journal copies ordered as a subscription for the same address have 50 percent discount CZK 490 per year per copy.Třetí ruka card holders have 15 percent discount on Waste management forum annual subscription. Individual and back issues can be ordered at DUPRESS distribution agency or can be purchased personally in the Czech Environmental Management Centre (CEMC 28th Regiment 524/25, Prague 10, 101 00, Czech Republic). The price of an individual issue is CZK 98 and does not include shipping and handling. Subscription orders and distribution in the Slovak Republic are provided by Mediaprint-Kapa Pressegrosso, Vajnorská 137, PO Box 183, 830 00 Bratislava 3, tel . 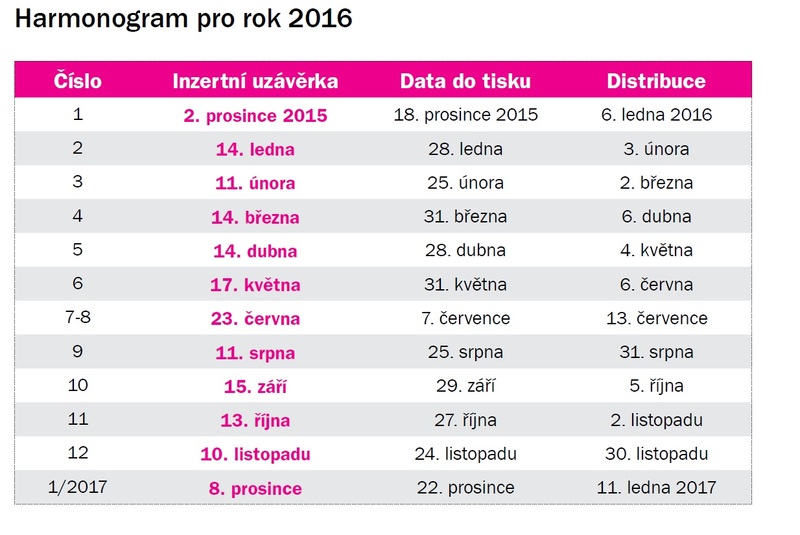 : 00421/2/44 45 88 21 44 44 27 73, 44 45 88 16, fax: 00421/2/44 45 88 19, e-mail: predplatne@abompkapa.sk.Annual subscription € 39.84 / 11 issues, the price of a single issue € 3.79.